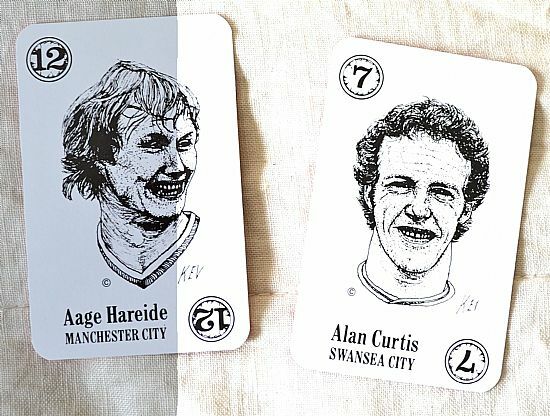 A 1980s 'exciting new card game' featuring 95 top players (and Aage Hareide!) and 8 club badges. Simply a rehash of rummy using players. 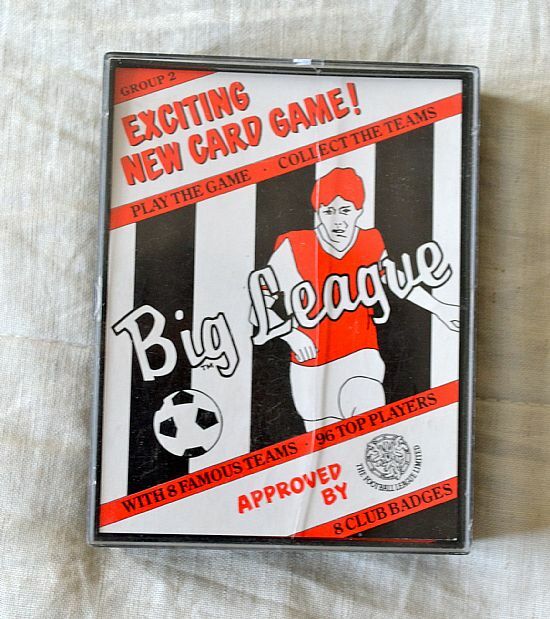 Rubbish game with rubbish illustrations. 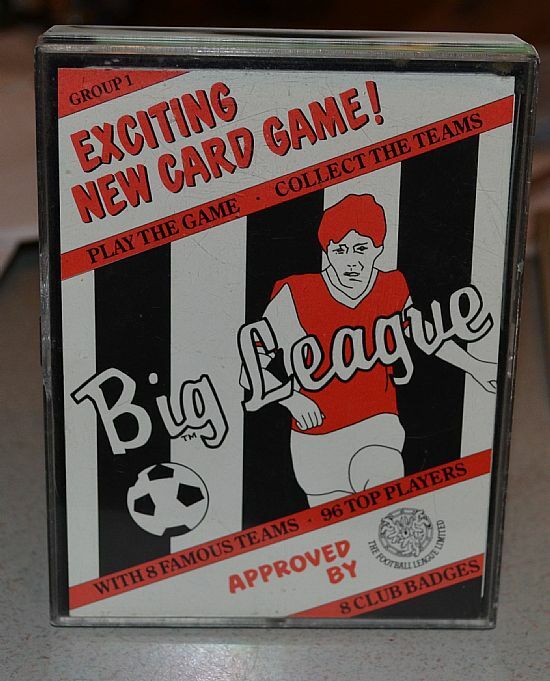 ...and here they are Big League Group 1 set. More teams and more awful illustrations! 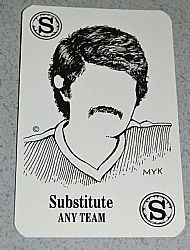 I can only hope that 'Kev' didn't get paid for his illustrations. He probably makes a few quid now drawing drunk tourists on Benidorm seafront! 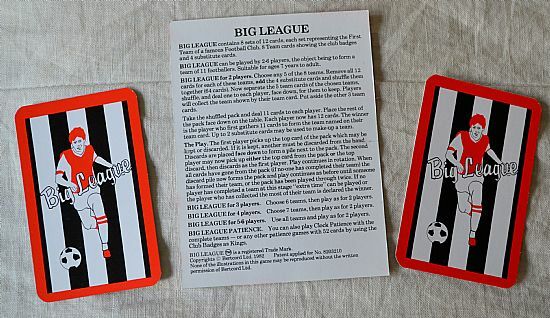 Two packs of cards and rules. 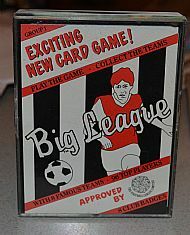 Pick up and put down rummy game until you have completed your team. Here's the full list of the teams available in the two sets. 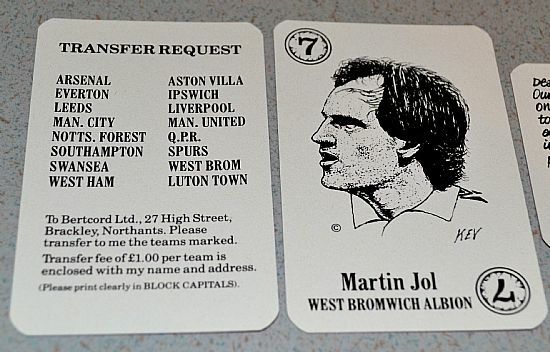 Plus a very useful Martin Jol before he discovered pie shops. Quite an amusing extra in the sets are substitute cards with blank faces except for facial hair!